Richard Hurt exits the Gallia Court of Common Pleas after his arraignment in September 2016. POINT PLEASANT, W.Va. — A Gallipolis man, who once confessed and was convicted of dismembering a Gallia woman, pleaded guilty to illegally concealing her body in Point Pleasant during a plea hearing in Mason County Circuit Court, Wednesday morning. Richard Hurt, 49, is in the midst of serving a four-year sentence for his Ohio conviction which was handed down late February 2017. There, he pleaded guilty to the felonies of third-degree tampering with evidence and fifth-degree abuse of a corpse. In West Virginia, Hurt was indicted by a grand jury in September 2017 for concealment of a deceased human body. According to court records, the Gallia County Sheriff’s Office and Ohio Bureau Criminal Identification and Investigation assisted West Virginia state and local authorities July 30, 2016, in Mason County, W.Va., with the discovery of a dismembered human body. During the investigation, Hurt reportedly told investigators he and a then reported missing Gallia County woman, Jessica Berry, 32 at the time, of Gallipolis, were at a residence on White Road in Gallia County, Ohio, on or about July 19, 2016. Berry allegedly overdosed on narcotics at the location. Hurt confessed to using a saw to dismember Berry’s remains, placed them in trash bags and transported those remains in his vehicle for roughly one and a half days before taking them to Mason County, where he buried the remains on private property. Hurt disposed of Berry’s clothing and the saw in the trash that was collected by a local garbage service. Court records state Hurt said he knew the items would end up at the local landfill. Autopsy records would indicate the manner of Berry’s death to be inconclusive. 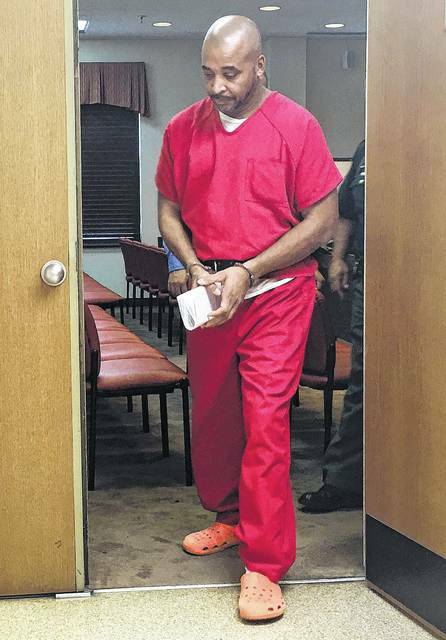 Hurt is anticipated to appear for sentencing in Point Pleasant, March 26 at 10 a.m. According to www.wvlegislature.gov, West Virginia Code section 61-2-5a, any person convicted of the felony crime of concealment of a deceased human body is subject to facing a penalty of one to five years in a correctional facility and $1,000 to $5,000 in fines. The state was represented by Mason County Prosecuting Attorney R.F. Stein, Jr., while Hurt was represented by Attorney Courtenay Craig. The hearing was held before Judge Lora Dyer.